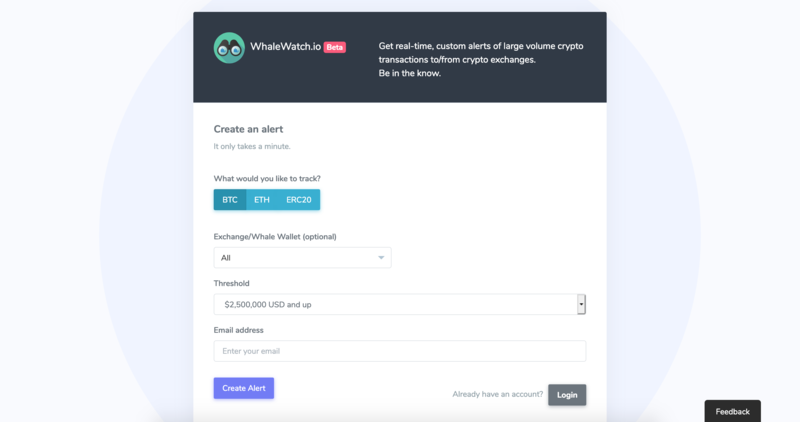 WhaleWatch.io - Get real-time, custom alerts on large volume crypto transactions. You can check our Github repository for the full source code of this app. We will update the repository to include documentation on setting up and extending Whalewatch shortly.